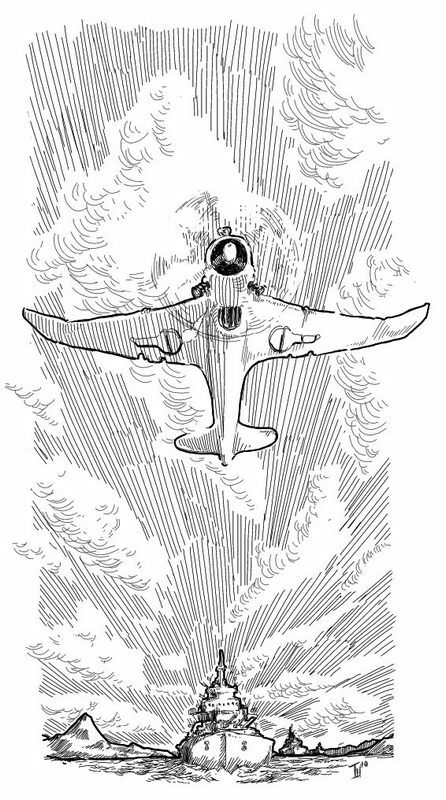 When we talk dieselpunk, ‘megalomania’ doesn’t sound like an obscenity or a diagnosis. The genre is inspired by the Interbellum aesthetics, and no one can argue that between two world wars size did matter, the bigger the better. In this gallery there are no abandoned projects and paper designs. Only real giants. 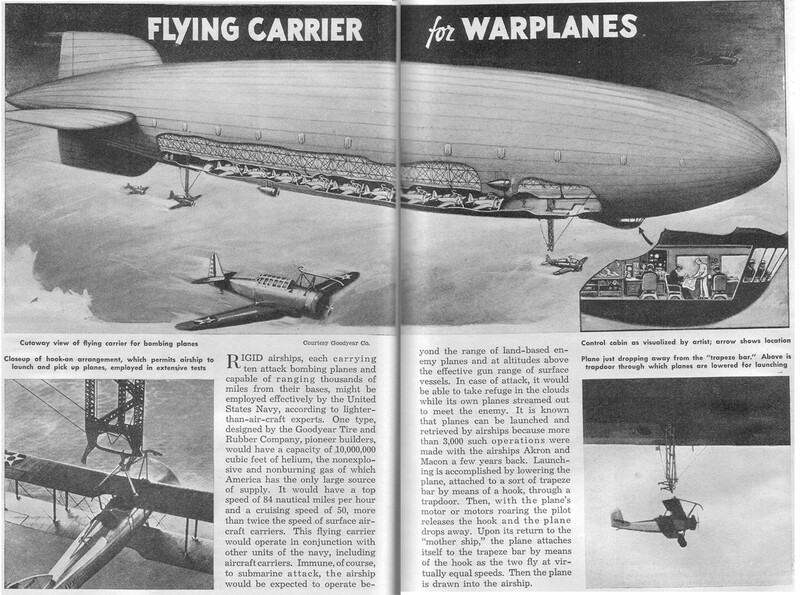 The concept was already obsolete when this picture was published but carrier airships existed a few years before – see USS Macon and Akron. 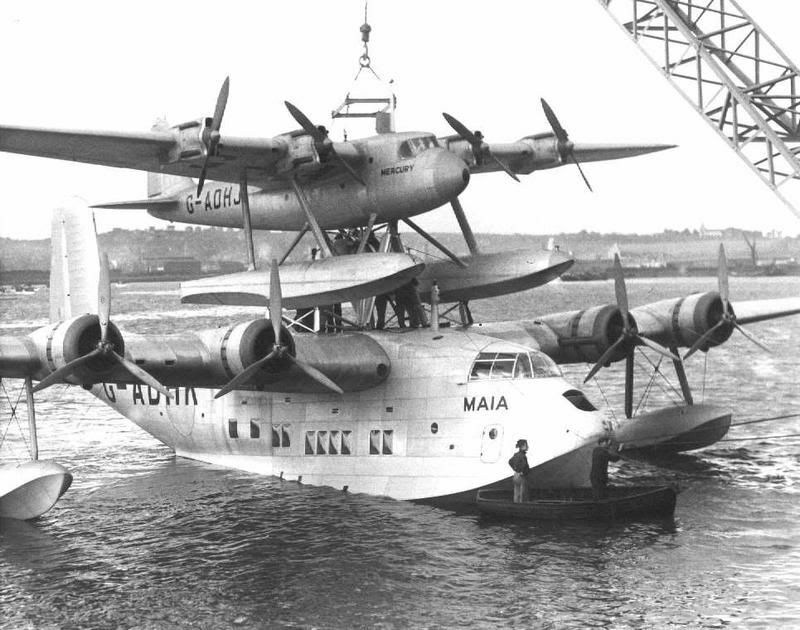 The Short Empire Class S.21 Maia was not the largest flying boat of the period – but large and powerful enough to carry a four-engine floatplane. The Atlantic Republic project is jointly developed in Russian-speaking LiveJournal community Atlantic Republic – A Dieselpunk Legend. In March 2010, the setting was outlined in English on Dieselpunks.org and in January 2012, a short story by Ignat Solovey was published on the same network. The year is presumably 1934, no exact date given. The Republic is going to celebrate its Centennial – with navy review, air parade, and every kind of festivals. Of course there are pirates, spies, at least one Mad Scientist, brave sailors and aviators, femmes fatales and lady adventurers. And lots of Dieselpunk – factories and workshops, weird airplanes, flying aircraft carriers, streamlined trains, air taxicabs, destructive secret weapons, etc. etc. The multi-faceted story of the Republic unfolds in an alternative world a bit more happier than ours, no Great Depression or Nazi threat. Nevertheless, the Modern Atlantis does everything possible (and impossible) for self-defense, hence a multitude of military machines – along with civil cars, diesel trains, airliners and mailplanes. Enjoy. 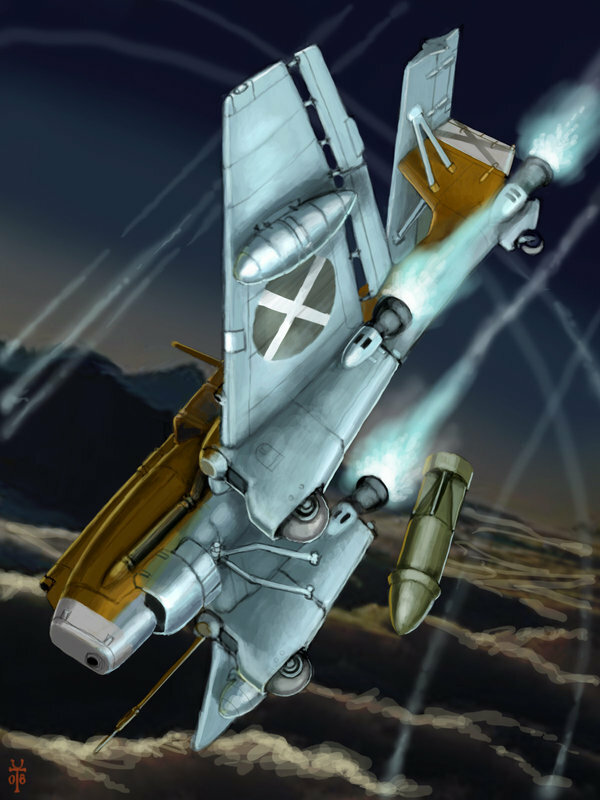 We are happy to exhibit the artwork of Mike Doscher aka Malaveldt, an artist well known and highly esteemed by the dieselpunk community. Behind each picture there’s always a story, usually a space conquest story told from some future (or parallel) world where Mars, Venus and Jupiter are conquered and developed with the help of Diesel Era-styled machines. Artist’s DeviantArt gallery is highly recommended, as well as his blog. Take a look around. Ask questions – and don’t wait for simple answers. This lady (let’s call her A. ), looking like she just jumped out of a 1945 magazine ad, silk dress and gloves and veil streaming from her hat – is she a dieselpunk? No, she isn’t. If someone calls her anything ending with “~punk”, she’ll be offended. Her passion is fashion, and she esteems herself too high to be part of any movement. What about this gentleman (call him B. ), sporting a pin-stripe suite and a fedora, wearing a genuine 1935 wristwatch? He’s a dieselpunk, and a die-hard one. Mr. B will be happy to explain why his lavish costume is more “punk” than any skid row outfit. In modern world, too many roles have changed. Oh yes.